Android users used to ask; how to deal with Android errors? how to solve unfortunately gallery has stopped issue? help my gallery has stopped unexpectedly, ways to solve unfortunately gallery has stopped on Samsung J5, J7 Redmi etc., how to fix unfortunately gallery has stopped on Micromax? And so on. 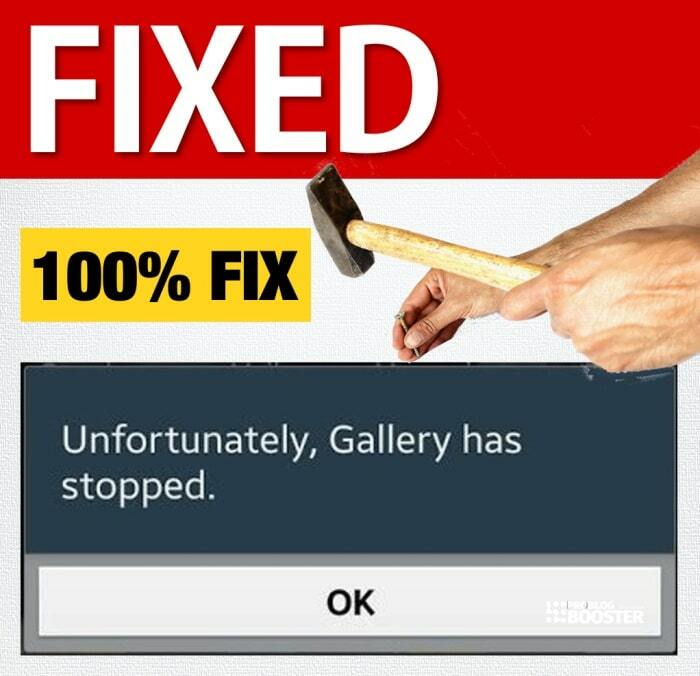 Before jumping to the solution, you need to understand, why this error ‘Unfortunately, Gallery has Stopped’ has occurred? The gallery is the default multimedia manager provided by default within your smartphone. This is used by many other apps just to get an access to your media files like photos, videos, GIFs etc. Not just camera is using this gallery, there are other apps like Facebook, WhatsApp, Instagram etc., which are accessing the same set of media files from the gallery. Sometimes, other apps may keep your gallery busy and it fails to respond at some point. Also, there could be a possibility that, your media files might get corrupted by their multiple usages. Reasons are discussed below in details, and without further due, let's check out; how to solve Unfortunately gallery has stopped in Android phone & tablet easily. 3 Reasons Why this "Unfortunately, Gallery has Stopped" Error? Unecessary storage of cache - Excessive storage of data and cache could trigger this issue. Multiple use of gallery - You might have installed many third party apps which has access to your gallery. Fault in your phone - It could be your mobile device itself affected by any bug. ‘Insufficient Storage Available’ Error in Android. Camera Unable To Start Error on Android Phones // Solved Android Errors. Anyways, in this article, I'm going to explain the quick solutions for the most possible reasons that cause this error. I've listed a couple of steps below which will help you fix this Unfortunately, Gallery has Stopped Error on Android quickly. Step 1: Clear Data and Cache of Gallery app. Step 2: Clear Data and Cache of Media Storage app. Open up Media Storage option. Now just Restart your smartphone. Step 3: Reset App Preferences. Step 4: Clear System Partition Cache. Step 5: Clear Data and Cache of Camera app. Also Force stop the app. Step 6: Factory Reset your smartphone.